This usually happens because the computer you are trying to log into has too many users connected. One or more of them will need to log out. While actively logged into the server, bring up the Windows Task Manager by right-clicking a blank area of the taskbar and choosing “Task Manager“. Make sure you have “More details” expanded, then select the “Users” tab. If the “Status” shows as “Idle” for a user, you can select the user, and then select “Disconnect“. 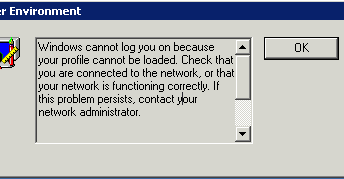 You may need to ask somebody with admin rights to login to the computer and disconnect the idle users.